With the news that Christian mother Asia Bibi is still being held in Pakistan despite being acquitted on all charges against her, fresh light is being shed upon the many believers who have lost their lives as a result of the Muslim-majority country’s archaic anti-blasphemy laws. Bibi, who has her death sentence overturned last October, still remains within the country, despite having been offered asylum in Canada. How many Christians have been killed as a result of this controversial law? According to Aid to the Church in Need, some 23 Christians have been killed after being accused of blasphemy between the years 1990 and 2017. Many others, however, are still on trial. Sawan Masih is just one example. In 2014, when he was just 26 years old, Masih was set upon by vigilantes after allegedly insulting the prophet Muhammad during an argument with a friend. As a result, Lahore’s Christian Joseph colony district was attacks by thousands of hardline Islamists, causing many local residents to flee their homes. “On March 9, after Friday prayers, a mob of 3000 Muslims burned down the entire district, destroying almost 300 houses and two churches,” Father Emmanuel Yousaf, NCJP president, told ACN. As was to be expected, the 83 people involved in setting fire to the Christian district were released, but Masih was held, tried and convicted on blasphemy charges. He is still behind bars and has been sentenced to death. Masih’s subsequent legal appeals have been painstakingly slow. “The hearings are constantly being postponed,” his attorney, Tahir Bashir, explained. In a similar fashion to the case of Asia Bibi, the proposed evidence against Masih appears to be extremely unreliable. Indeed, two witnesses came forward to verify the account of what happened. The only problem? They weren’t actually there when Masih was alleged to have insulted the prophet. “My son is innocent… we are not being treated fairly,” Maish’s father, Chapman, told the BBC shortly after his conviction. In another case, two Christian brothers were sentenced to death just days after Bibi was acquitted for the same crime. 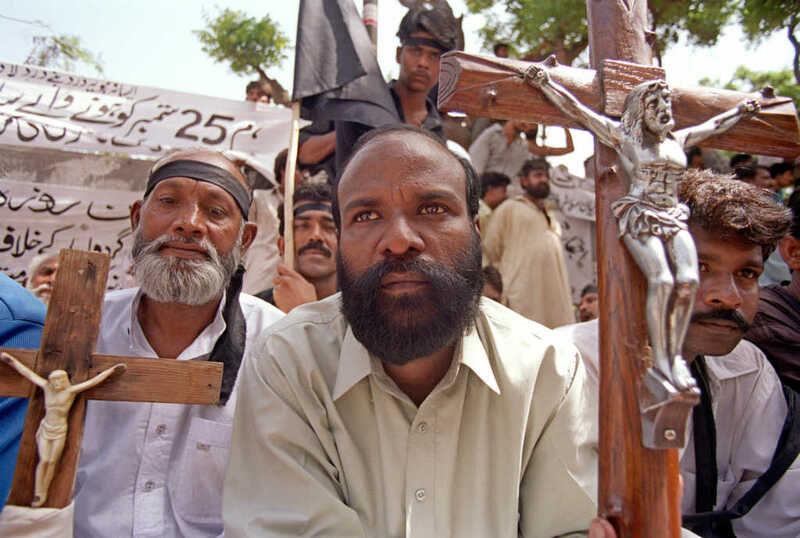 Qaiser and Amoon Ayub, again from Lahore, were sentenced to hang after a district judge found them guilty of insulting the prophet Muhammad by posting offensive content on the United Christians Organization of Pakistan back in August 2010. Within Pakistan’s lethal climate of vigilante justice, it is just as dangerous to be a public figure who supports or advocates on behalf of Christians. In 2011, shortly after Bibi’s conviction, Punjab Governor Salman Taseer was brutally murdered for speaking out in support of the wrongly convicted Christian woman. After the politician was shot dead on the streets of Islamabad, his own bodyguard was found guilty of the heinous crime and sentenced to death himself. Even after his execution, however, the bodyguard has been hailed a cult hero, with a large shrine in his honor erected on the outskirts of the capital city. What is the latest on Asia Bibi? Despite being offered asylum in Canada, embattled Christian mother Asia Bibi is not being allowed out of Pakistan until she can promise not to speak ill of her home nation when abroad. The Times noted that Bibi, who was acquitted of a blasphemy charge last October, was still unsure as to when she could expect to be released, with the Pakistani government currently holding up her asylum paperwork until she can make them assurances of her loyalty. “No one is telling me when they will release me and send us abroad,” Bibi said, according to a close friend. It is understood that Bibi’s children are already in Canada, where the entire family has been granted asylum.